Home Remedies For Exfoliation. Although there are many skin care products and facial scrubs available in the market today but mostly these products sell at skyrocketing prices and sometimes they even lack in providing you with the best results. Here are some home made remedies for exfoliation with great results. Almond are very good for the skin; the protein content of almonds helps in removing the dead skin cells and moisturizes the skin too. They also help in preventing cell damage and protects the skin from external damage like climatic conditions or UV rays. Rose water, on the other hand, contains skin healing and soothing properties. Try this perfect combination of almonds and rose water which is packed with skin-beneficial properties! The grains in baking soda are just the right size to act as a gentle exfoliant, and they also help clear acne. Rose water benefits help to heal and smoothen the skin. 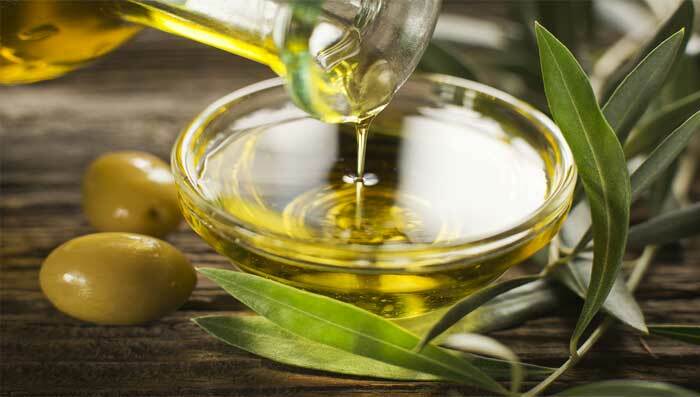 Olive oil contains vitamin E, antioxidants and is packed with skin-beneficial properties like skin brightening and anti-aging. Brown sugar is most often used in several home remedies as a natural skin exfoliating agent. Try this quick and effective remedy to remove the dead skin cells from the surface! The caffeine in coffee helps in brightening the skin tone as it acts as a natural skin exfoliator. Coconut oil is a great source of vitamin E which helps in deep moisturizing the skin. Honey contains skin cleansing and skin healing properties. Pineapple and papaya both the fruits contain minerals and enzymes that help in removing the dead skin cells from the skin’s surface. Oatmeal is yet another ingredient of this remedy which is known for its natural skin exfoliating properties. Honey is a rich natural source of anti-oxidants that helps in rejuvenating the skin from within and leaves it glowing and smooth. Strawberries are a rich source of vitamin C, folic acid, and fibers. They also contain a high amount of alpha-hydroxy acids which prevents the skin from infections. This scrub using strawberries combined with oatmeal and honey will help in removing the dead skin, excess sebum and also protects the skin infections.